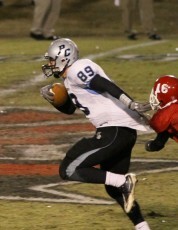 Dan Beilinson is a 6’5” 220 pound tight end from Cary, North Carolina. As a junior, Beilinson caught 37 passes for over 500 yards, helping Panther Creek to a conference title and the state regional playoffs. One of the top tight end prospects in the state, his performance earned him 1st Team Tri-Nine All-Conference, among many other accolades. 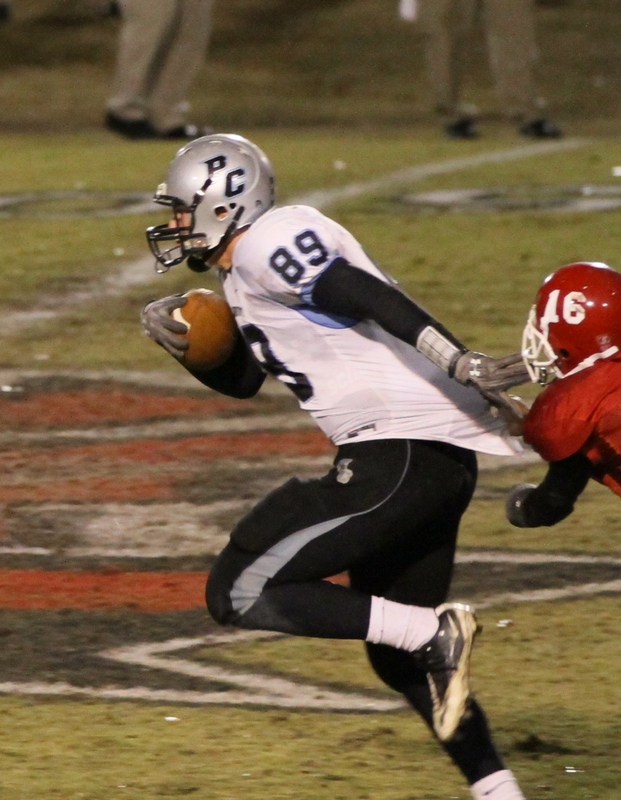 Although he currently is in the middle of basketball season, college football coaches have been in close contact with the pro-style tight end prospect. NC State and Duke were the first two programs to extend a verbal offer to Beilinson, and several other top programs from around the country have shown strong interest to Beilinson and his coach, Wayne Bragg. Highlights from Dan’s junior year can be viewed here. I’d have to say I’ll go 100% all the time, I’m a hard worker. Panther Creek football has really taught me good work ethic and with hard work we can get from being a 5-7 team that we were two years ago to a 13-2 team we were this past season. I think I’m able to exhibit that. More specifically, I think I was made for a tight end, 6’5” 220 [pounds] as a junior right now, I think I’ve got the size and that allows me to block and run, and pretty much do that efficiently. BDN: What are some of the things you are focusing on this offseason as you head into the fall? So far this offseason, I have basketball right now, so I haven’t been able to work out during the offseason workouts with the team, but I’m hitting up the weight rooms, trying to get bigger, stronger, and faster whenever I can. For this spring and summer, I don’t know what camps I’ll attend yet. I haven’t really talked about it much with my parents so I can’t answer that yet. BDN: What are some of the goals you have for your team and yourself individually for your senior season? Oh yeah, for the team, I just want us to do obviously as good as our skill can do, which I think, again, with the hard work that Panther Creek football coaching staff provides we’ll be able to get just as far, hopefully we can go all the way. Every team wants that, but I really just want good teamwork and everyone always being there for each other, and hopefully we’ll get far into the playoffs again this season. I’d have to say education is definitely important to me. Football program - I don’t really have a specific interest or any biases as of right now. But the coaching staff is really important to me, I have to be able to be on good terms with the coaches and so far that’s been pretty good for me. So I’d have to say education and coaching staff. Well, NC State and Duke have personally spoken to me and given offers. Arizona State and Vanderbilt, my coach says they have offered me verbally, but I haven’t personally received that notification yet. At this point I’ve gone to NC State and Duke for Junior Days, so far. I’ve been invited to a couple of other ones but I haven’t been able to attend them yet. I’m really keeping my options open. I want to see what schools will contact me and show interest and then depending on that, I’ll make my decision whether or not I want to go over there and see what their campus is like and what their football program is like. I think it’s going to hit me when it hits me, but it probably won’t be before the season, I think it would probably be during or right after. I’ll most likely have a decision by then, but as of right now I can’t tell you for sure when it will happen. BDN: Is basketball something that you hope to continue at all in college or will you focus solely on football? Yeah, I’m definitely going to focus just on football. Basketball is good for athleticism, footwork, and all that stuff right now. BDN: Thanks a lot, Dan and best of luck to you.